Save time & money! 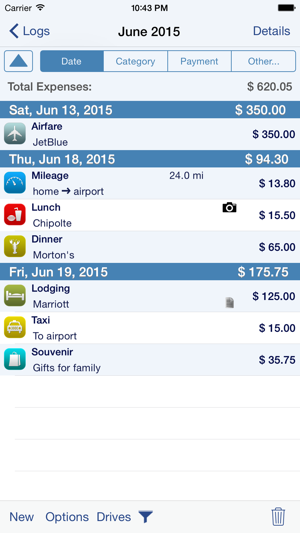 Track your MILEAGE and EXPENSES with the most powerful expense app available! A comprehensive, full featured app that's easy to use and extends to your desktop. XpenseTracker has been a customer favorite on the App Store since 2008. *EventJuice UK declares "must download app"
XpenseTracker is a comprehensive expense tracking and reporting application for anyone wishing to track their expenses and/or mileage. It's ease of use, full features and great interface make it an essential tool for every iPhone/iPad user. 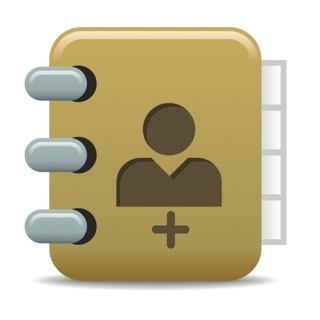 It's power even extends to the desktop by allowing emailing or exporting of the expense reports and accompanying photo receipts directly to the desktop. It will save you time and money. 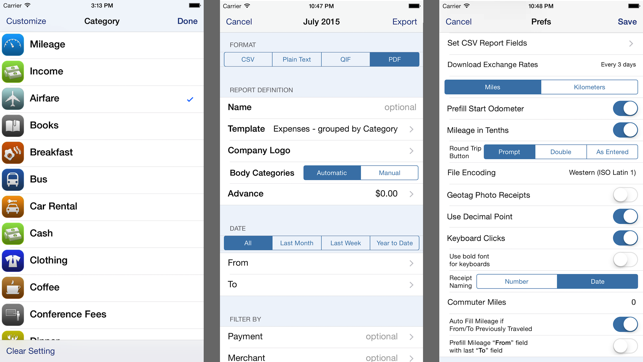 * Sort expenses by "Date" , "Category", "Payment Type" or "Client." * Mark a log as "reimbursed" or "submitted"
+ Optional AutoTrack feature for TOTALLY automatic mileage tracking. * Export your reports directly to your Mac or PC via Wi-Fi connection and have your file immediately appear on your desktop. This CSV file can be easily imported into Excel or Numbers. * Over a dozen PDF templates for creating beautiful, finished PDF format reports. * Includes client field and support for sorting and exporting by client. The app offers an two OPTIONAL subscriptions, AutoTrack and Human Scan. AutoTrack is a feature that will automatically track your drives. All you need to do is carry your device with you. Human Scan will allow you to take a picture of a receipt and have an actual human extract the key information and update your expense entry. 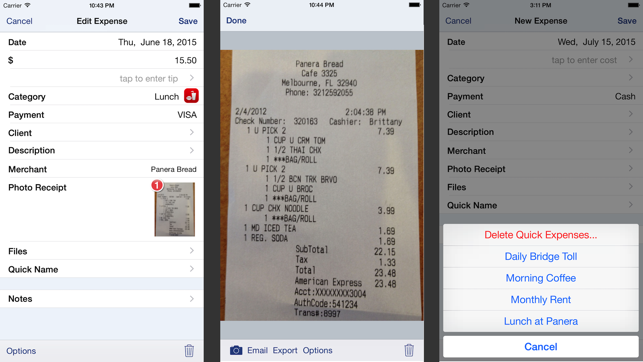 You do NOT need this add-on if you simply want to take photos of your receipt as the app already has that built-in. * Additional sort and filter options. * Huge improvements to optional AutoTrack feature. Love it - and the support is phenomenal! 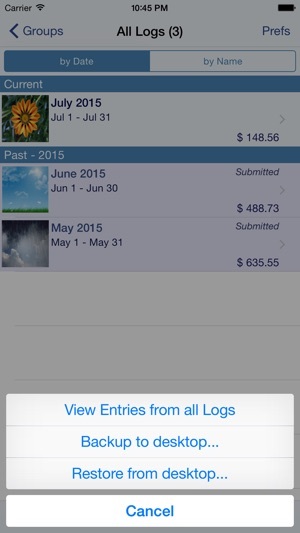 April 2019 - I have been using this app since 2013 when I had just started a business. I use it to record both personal and business expenses, and truly rely on it. It’s intuitive, clear, and provides whatever I need. I get the sense that, if I were to become a more savvy user, this app would be able to do whatever I might want it to do. It’s very customizable. And what I love about that is that I don’t have to figure out all the bells and whistles - I just have to know how to use the ones I WANT to use. And it doesn’t feel difficult or complicated. Love it. And I have to applaud the support - the few times I’ve had a question or issue (usually user error:)), I’ve written them a note and the app author himself has responded. Scott is always helpful and clear about how to do what I’m trying to do (creating a specific report, etc.). I don’t feel like I’m left to struggle on my own. Knowing they are there to answer questions (and cheerfully!) makes me so happy to use this app. Thank you, and please keep up the great work!! Help and has written a custom formula for me to track a specific item. 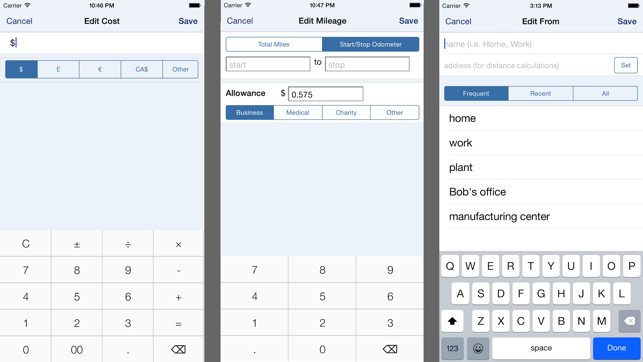 My teenagers easily navigate this app to record my business mileage and expenses and even ask to help bc they like to use the app!! Love it! As a self-employed Direct Sales Mom - this App is the BEST!!! An update has let me consolidate my business mileage and expenses into monthly reports and a recent appeal to the Developers for an edit or hint to print my reports exactly as my CPA needs -- was answered an solved within 24 hours!!!! Grab this App!!! Since I synced with my iPad, my new expense groups are not showing up in my Dropbox backup. Cannot save files to dropbox and download to expenses. HelpThe subjects neighborhood consist mostly of single family homes of mixed ages, design, quality, style and appeal. Most of which range from 19xx to new construction. Close to freeways, shopping, transit, services, schools and parks. I was looking for another app when I read the reviews for this one. I decided to take a chance on an app for $. So far, I love it. Can separate my personal expenses, like for charity work, and business. It calculates the mileage different for business than for charity as "thems the rules" from the IRS. It's easy and intuitive and if you spend a little time setting up categories and frequently used items, it's a snap to enter items. I've purchased the add on photo recognition receipt uploader and it gets it right most of thy time if there aren't too many numbers on the receipt. Dropbox integration is great too. All around happy with this purchase. I have nothing bad to say about it. Maybe one of the best purchased apps I have.